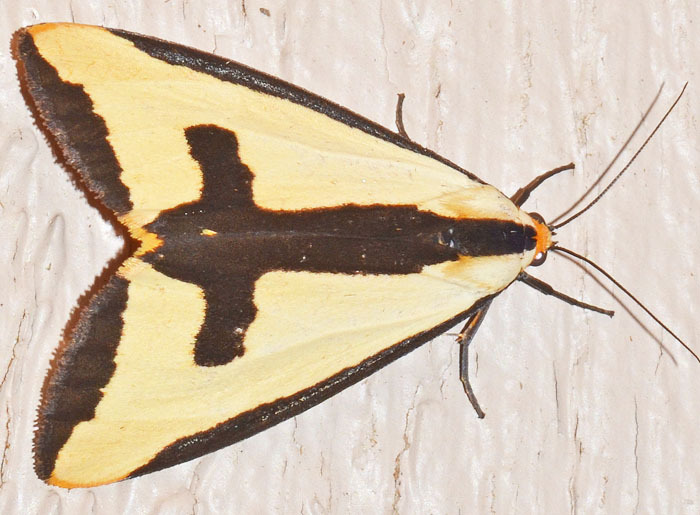 Haploa clymene - Hodges#8107 (Clymene Moth). Size: approx. 30 mm. Photo: 08/19/15, 10 pm. Another cool tiger moth with a bold pattern that makes it easy to identify. This photo was difficult to take, not because of the moth that cooperated nicely, but the very high humidity. My camera immediately fogs up affecting the lens filter, the view finder, and even the flash. Welcome to August in Florida!